I have long wondered if someone would put together a book of Darwin quotations. Given the volume of resources out there on Darwin, published and online, I figured that such a collection would be similar to the wonderful The Ultimate Quotable Einstein, compiled and edited by an Einstein expert (who worked on the Collected Papers of Albert Einstein), with sources for the quotes. Would Cambridge University Press, which has put out more than 20 volumes of Darwin’s correspondence, put together a Quotable Darwin? 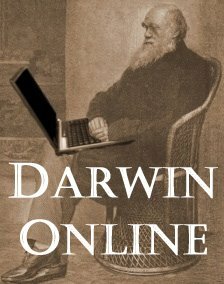 Or perhaps historian of science John van Wyhe, with so much Darwin material at his fingertips with Darwin Online? No such luck, yet. Until then, our only offering is from a publisher that also put out quotation books on Jack London, John D. Rockefeller, Machiavelli, Mark Twain, and Abraham Lincoln. When I first learned of Darwin on Evolution: Words of Wisdom from the Father of Evolution (New York: Skyhorse Publishing, 2015, 144 pp. ), my hopes were not set high upon seeing the quote given on the book’s cover: “It is not the strongest or the most intelligent who will survive but those who can best manage change.” As has been noted by the Darwin Correspondence Project, among others, these words (or variations of them) do not come from Darwin at all (see: Six things Darwin never said – and one he did). And then, in the publisher’s description of the book on the inside of the dust jacket, there is “In the long history of humankind (and animal kind, too) those who learned to collaborate and improvise most effectively have prevailed.” And, “Intelligence is based on how efficient a species became at doing the things they need to survive.” Neither of these are from Darwin, either. While including quotes not from Darwin’s own pen make this collection problematic, it’s organization does injustice to the collection as well. 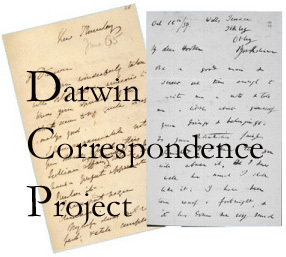 Quotes are included from Darwin’s most well-known books and correspondence. But whether or not a particular quote is given its reference seems to have been completely at random. About half the quotes have a reference, while others have none despite being from the same works as others that are referenced. There is redundancy as well – one quote is even listed three times! Considering that all this was evident from my reading just the first third of the collection, I decided it was not worth my time to give the book a full reading. Surely no one put in the time to edit a worthy collection of quotes. Artist Juan Carlos Alonso’s new book Ancient Earth Journal: The Early Cretaceous (Lake Forest, CA: Walter Foster Jr., 2015, 112 pp. 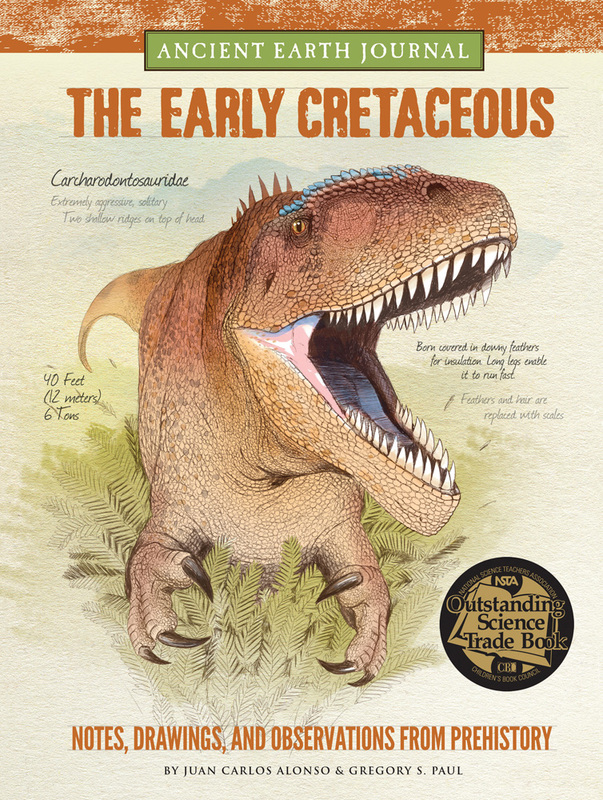 ), co-authored with paleoartist Gregory S. Paul, is unlike any dinosaur book for young readers I’ve seen. It combines two things I really love: learning about dinosaurs and natural history illustration. Alonso introduces the reader to dinosaurs and other creatures from a 44 million year slice of Earth’s history. This is a welcome focus for a dinosaur book, since nearly every dinosaur book attempts to cover the whole period of dinosaur history, excluding bird evolution to the present (165 million years). This slim approach allows the book to cover a more diverse group of creatures than would otherwise be possible, with new species names to learn. And the depiction of these dinosaurs, praised by paleontologists, is done in a nature journal fashion, as if the artist is encountering them as wildlife on a nature trip. This helps to see these animals as actual, living entities, and Alonso treats us to full size illustrations as well as close up examinations of interesting anatomy. The journal is organized by different dinosaur groups (Theropods, Sauropods, Ornithiscians, Pterosaurs, and First Birds), and an introduction nicely places this wildlife in context of Earth’s geologic history and discusses what kind of plants coexisted with dinosaurs of the Early Cretaceous. As a child I was obsessed with dinosaurs. Their size, ferocity and the fact that they’re extinct all played into their mystique. They presented more questions than answers. Back then, they were much stranger than how they are viewed now. Dinosaurs were seen as massive lumbering monsters, angrily snapping at anything within their reach. Scientists believed that the very largest were too large to support their own bodies, so they were relegated to living in the water. Everything about them seemed unnatural. They were slow, dumb and doomed to be extinct – they were an evolutionary dead end. As a matter of fact, the very word dinosaur is synonymous with outdated or extinct. Movies, books and toys also did a pretty good job of confusing our perception of prehistory as well. It seemed every movie I ever watched as a child had all prehistoric beasts like Tyrannosaurus, Brontosaurus, saber-toothed tiger and sometimes man coexisting in one chaotic time period. The truth is much more interesting and complex. For being called a “dead end” it turns out dinosaurs were around for a long time –165 million years to be precise. If you consider our species (Homo sapiens) has been around for about 200 thousand years that was a pretty successful run. As a matter of fact, there is a greater time span between Brontosaurus and Tyrannosaurus rex (83 million years) than there is between the last Tyrannosaurus and humans (65 million years). We now know that some modern birds are the descendants of the theropod dinosaurs, so they haven’t even become extinct. As time passed, the strange unreal monsters that I knew as a child became as extinct as the dinosaurs themselves. Dinosaurs are, and always were animals. Animals that, like any today, ate, bred and fought to stay alive to ensure the species and bloodline would continue. The mystique I knew as a child was replaced by scientific curiosity as these “monsters” became even more intriguing to me. For me prehistoric life represents a perfect amalgamation of science, fantasy and art. All three work in unison to recreate wildlife long extinct using fact, research and some speculation based on living animals to fill in the gaps. Seven years ago I became a father. I began to re-experience childhood wonder and curiosity through the eyes of my daughter as she grew older. It brought me back to my own childhood and inspired me to write Ancient Earth Journal: The Early Cretaceous. I set out to create drawings that represented an artist’s first-hand account of studying extinct animals through a naturalist’s notebook. Much like John James Audubon, documenting bird species from previously undiscovered lands. The intent was not only to bring these animals back to life, but also to capture a snapshot of life in a 38 million year window called the Early Cretaceous. By dedicating the book to half of one period of the Mesozoic, I was able to look closely at some species rarely featured in other books and illustrate details and features that make each unique. These are the types of books that sparked my interest in both science and art as a child and it is my goal to share my interest with children. Ultimately, I hope to write and illustrate more books in the series, each dedicated to a specific time period. This will give perspective on how some species evolved into others and illustrate Earth’s rich history of past wildlife and how our animals came to be. The next stop on the blog tour, on August 31, is at The Children’s Book Review. And the publisher has a neat little video about the book here. 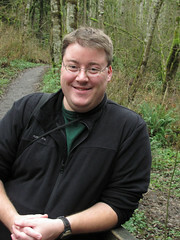 I am delighted to learn that Alonso plans to continue Ancient Earth Journal books for other time periods. My interest in dinosaurs started when I was 15 and led me to a broader interest in the history of science and Darwin and evolution. And now, the giveaway! To enter for a chance to win a signed copy of Ancient Earth Journal: The Early Cretaceous (courtesy of the publisher), please comment on this post telling me what your favorite prehistoric animal is or about an interesting museum experience dealing with paleontology. Giveaway open to residents of US or Canada only. From the entries I will randomly pick a winner. The contest will be open until Friday, September 4, midnight PST. If you would like to enter without commenting on the blog, you can send me an email at darwinsbulldog AT gmail DOT com. Good luck! Kid’s books about evolution are not in short supply. However, some are better than others, such as Catherine Barr and Steve Williams’ new book The Story of Life: A First Book about Evolution (London: Frances Lincoln Children’s Books, 2015, 40 pp.). Geared toward younger elementary students, The Story of Life takes readers from a lifeless Earth billions of years ago to the present planet full of life, noting that humans are taking a toll on the rest of the Earth’s biological diversity. This story is told through the use of easy-to-understand language, whimsical illustrations by Amy Husband, and a little humor with animal quote bubbles (they have important information to share, too!). Readers will learn, through text and art, about the possible origin of life, the first animals, habitats, how animal life moved onto land, extinction, the rise of the dinosaurs, natural selection, the evolution of flowers, the rise of mammals, and the evolution of humans from primate ancestors in Africa and further migration across the globe. That’s a lot of evolution to cover in 40 pages, but the authors (both with backgrounds in biology) do so in a simple, accessible manner that children and their fellow adult readers will enjoy. A glossary of terms is included at the end, and each page includes a bar at the bottom left showing when in time the events are happening. The book also had a scientific consultant from the Natural History Museum in London to check for accuracy. I’ll be requesting that my local library order this book! And the authors have a Facebook page for the book, too. 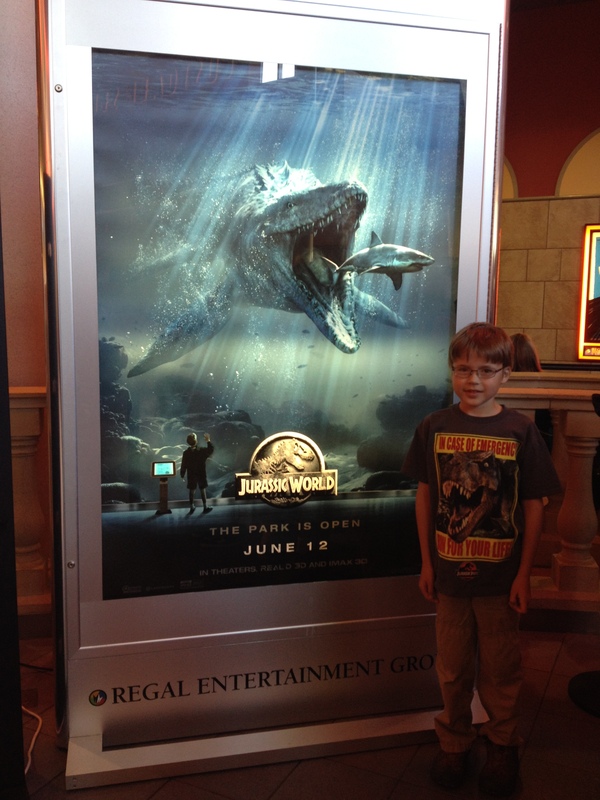 Last weekend my nine-year-old son and I went to the movies and saw Jurassic World, the fourth film in the Jurassic Park series (but really, a direct sequel to the original film). I was fifteen when I saw Jurassic Park in 1993, and became dino-obsessed. I devoured books and articles about paleontology. Reading about dinosaurs led to reading about evolution in general, and then to Darwin (and the rest is history, as they say). So while my son has seen the other films, I was excited to take him to see this new offering on the big screen. We loved it! The film was exactly what big movie theaters are for: suspenseful action in imagined worlds. We enjoyed the film immensely despite its major drawback. As many paleontologists have shared since the movie’s trailers started appearing, Jurassic World does not do what Jurassic Park did in 1993: to share with the public the latest vision of what dinosaurs looked like (click here for a bunch of links to posts/articles from paleontologists on JW). In the twenty years since, a lot has changed; most notably, that many dinosaurs had feathers or feather-like structures. 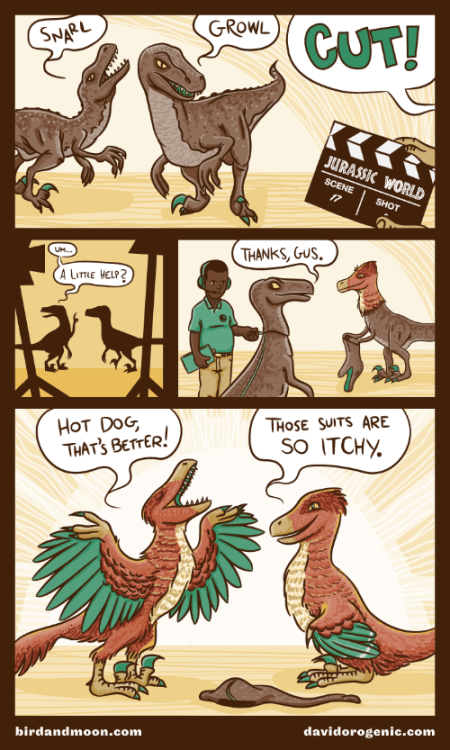 Not in Jurassic World. Even some representations of dinosaurs in the new film ignore how the other films got it right (the posture of Stegosaurus, for example). The new film also does not introduce film-goers to the wide variety of new species discovered in the last couple of decades, instead sticking with the familiar: Tyrannosaurus rex, Apatosaurus, Triceratops, and Velociraptor. We are introduced to a new dinosaur, however. Not a real species that paleontologists have found the bones of, but a genetically-engineered monstrosity that comprises the DNA of several dinosaurs and other critters. The carnivorous and unstoppable Indominus rex is the film’s antagonist. While her presence on screen is exciting, it’s disappointing that the film’s creators felt the need to invent a new dinosaur – “probably not a good idea” – when the annals of paleontology are full of awesome theropods that could have been amazing on-screen additions to the story. I hope the new film will inspire a new generation of dinosaur fans, and that many of these young paleontologists will seek out reading material to satiate their curiosity, and in the process, learn a little about what dinosaurs really looked like and how they behaved. For those interested in carnivorous dinosaurs (theropods), I recommend a new book by dinosaur writer Brian Switek and beautifully illustrated by paleoartist Julius Csotonyi. In Prehistoric Predators (Kennebunkport, ME: Cider Mill Press, 2015, 104 pp. ), Switek profiles and Csotonyi brings to life over 40 dinosaurs and other animals from the past that dined on the flesh of other creatures. Old favorites are here, such as Allosaurus, but the book offers a look at a variety of lesser-known or more recently discovered species, including many with feathers or feather-like structures and some flying reptiles. There is Cryolophosaurus, the Antarctic theropod with an Elvis-like head crest, and the early tyrannosaur Guanlong. Ever heard of Eocarcharia? How about Deltadromeus? Why create a fictional dinosaur when nature had so many to choose from? The profiles are arranged chronologically, starting with the Permian Period (and thus predators that pre-date dinosaurs) and into the Mesozoic Era and its trio of periods, Triassic, Jurassic, and Cretaceous, as well some marine reptiles and land mammals in the Cenozoic. The book lacks, however, some of the diversity of marine reptiles during the age of dinosaurs (there are no species of mosasaur or plesiosaur, for example). But for each entry, nothing is better than Csotonyi’s realistic renderings full of color, behavior, and feathers. The book also features a textured cover, with the sensation of touching dinosaur skin. The Jurassic Park series will never likely yield dinosaur depictions with feathers, but let’s hope in the near future that a studio green lights a dinosaur film that will. For now, enjoy Jurassic World for what it is, a science fiction movie, and check out some books, like Prehistoric Predators, and visit a local natural history museum, to learn more about the actual science. Want more dinosaurs? The publisher of Prehistoric Predators has another book worth checking out. The whole dinosaur kingdom is featured in Discovering Dinosaurs (2014), by Bob Walters and Tess Kissinger. More encyclopedic, this volume is chock full of dino diversity. Great information and great art from a classic dinosaur artist.